Heaven Help Us All (Stevie Wonder) - The Kingdom Choir. Chases - The Kingdom Choir. Blinded By Your Grace Pt. 2 (Stormzy) - The Kingdom Choir. Halo (BeyoncÃ©) - The Kingdom Choir. Harvest for the World - The Kingdom Choir. THE KINGDOM CHOIR. Chases (written by The Kingdom Choir). The Herald Angels Sing. Blinded By Your Grace Pt.2. Amazing Grace. Make You Feel My Love. Harvest for The World. You're The Voice. Karl Jenkins : Voices CD (2015)Title: Voices Artist: Karl Jenkins Genre: Classical|Choral Format: CD / Box Set Type: CD No. of Discs: 8 disc(s) Studio / Label: Warner Classics UK Release Date: 10 Sep 2015. Mike Oldfield : Music of the Spheres CD (2008)Title: Music of the Spheres Artist: Mike Oldfield Genre: Classical|Choral Duration: 45.20 mins Format: CD / Album Type: CD No. of Discs: 1 disc(s) Studio / Label: Universal Classics UK Release Date: 17 Mar 2008. Where Should This Music Be?. Format: CD. I have received my item but I no longer require it?. What do I do?. What do I do if I have not received my order?. What should I do?. Angelis : Angelis CD (2006)Title: Angelis Artist: Angelis Genre: Classical|Choral Duration: 39.90 mins Format: CD / Album Type: CD No. of Discs: 1 disc(s) Studio / Label: BMG UK Release Date: 06 Nov 2006. IN HARMONY. In Christ Alone. Cilfan Y Coed. Bright Horizons. May the Good Lord Bless and Keep You. Karl Jenkins : Requiem CD (2005)Title: Requiem Artist: Karl Jenkins Genre: Classical|Sacred Choral/Vocal Duration: 70.50 mins Format: CD / Album Type: CD No. of Discs: 1 disc(s) Studio / Label: EMI Classics UK Release Date: 21 Mar 2005. Heaven Help Us All (Stevie Wonder) - The Kingdom Choir. Blinded By Your Grace Pt. 2 (Stormzy) - The Kingdom Choir. Chases - The Kingdom Choir. Halo (Beyoncé) - The Kingdom Choir. Harvest for the World - The Kingdom Choir. Collection of 40+ classical cds, some new, choral, hymns and more. Collection of 40 classical cds.. Condition is Very Good. Some new, includes choral music, hymns, carols and more. Collection only. No reserve, surplus to a job lot purchased. Thanks for looking. Kings College Choir, Cambridge : World of King's College CD (1991)Title: World of King's College Artist: Kings College Choir, Cambridge Genre: Classical|Choral Duration: 67.50 mins Format: CD / Album Type: CD No. Disc 2 13 Pavane, Op. 50. Samuel Barber : Adagio CD (2009)Title: Adagio Artist: Samuel Barber Genre: Classical|Compilation Format: CD / Album Type: CD No. of Discs: 2 disc(s) Studio / Label: Universal Classics UK Release Date: 20 Apr 2009. Voces8 : Voces8: Winter CD (2016)Title: Voces8: Winter Artist: Voces8 Genre: Classical|Choral Duration: 65.14 mins Format: CD / Album Type: CD No. of Discs: 1 disc(s) Studio / Label: Decca Classics UK Release Date: 21 Oct 2016. Of Discs: 1 disc(s) Studio / Label: EMI Classics UK Release Date: 17 Feb 1997. Disc 1 5 Cantus - Song of the Trinity 6.11 mins. Disc 1 4 Chorale II - (Roosh Ka Ma) 1.50 mins. Disc 1 13 Chorale VII - A Ma Ka Ma 1.18 mins. Various Artists : Land of My Fathers: The Best of Welsh Male Voice Choirs CDTitle: Land of My Fathers: The Best of Welsh Male Voice Choirs Artist: Various Artists Genre: Easy Listening|Choral Duration: 140 mins Format: CD / Album Type: CD No. No hay caminos, hay que caminar.Andrei Tarkovsky by Luigi Nono. Orchestra/Ensemble: Anton Webern Chamber Orchestra. Orchestra/Ensemble: Arnold Schoenberg Choir, Anton Webern Chamber Orchestra. Orchestra/Ensemble: Arnold Schoenberg Choir, Anton Webern Chamber Orchestra. 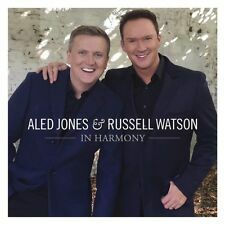 Aled Jones : Aled Jones: One Voice at Christmas CD (2016)Title: Aled Jones: One Voice at Christmas Artist: Aled Jones Genre: Classical|Xmas Format: CD / Album Type: CD No. of Discs: 1 disc(s) Studio / Label: Classic FM UK Release Date: 25 Nov 2016. Faure: Requiem, Op. 48 / Durufle: requiem, Op. 9 CD (2001)Title: Faure: Requiem, Op. 48 / Durufle: requiem, Op. 9 Genre: Classical|Classical Duration: 79.10 mins Format: CD / Album Type: CD No. of Discs: 1 disc(s) Studio / Label: Sony Classical UK Release Date: 12 Nov 2001. 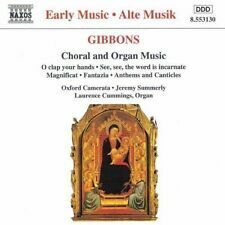 Gregorio Allegri : Allegri: Miserere/Tallis: Spem in Alium CD (2017) NEW Title: Allegri: Miserere/Tallis: Spem in Alium Artist: Gregorio Allegri Genre: Classical|Sacred Choral/Vocal Format: CD / Album Type: CD No. HMV CLASSIC. BEETHOVEN CHORAL SYMPHONY. Chases (written by The Kingdom Choir). The Herald Angels Sing. Blinded By Your Grace Pt.2. Amazing Grace. Make You Feel My Love. Harvest for The World. You're The Voice. Released on Deutsche Grammaphon. Made in West Germany by PDO. Over 5 hours of listening. Of Discs: 2 disc(s) Studio / Label: Decca Classics UK Release Date: 30 Nov 2018. Disc 1 1 Requiem - Kyrie. Disc 2 4 Lux Aeterna. Disc 2 3 Agnus Dei. Disc 2 2 Sanctus. Disc 1 7 Confutatis. Disc 1 6 Ingemisco. Disc 1 7 Gaudeamus in Loci Pace. Disc 1 8 When to the Temple Mary Went. Disc 1 6 Prayer for a New Mother. Disc 1 3 Ave Maria. Disc 1 17 Ave Regina Coelorum. Disc 1 16 Regina Coeli Laetare. Disc 1 15 Ave, Dulcissima Maria. Allegri, G - Allegri: Miserere and Other Choral Masterpieces. Title:Allegri, G - Allegri: Miserere and Other Choral Masterpieces. Artist:Allegri, G. We want your experience with World of Books Ltd to be enjoyable and problem free. THE BEST OF WELSH MALE VOICE CHOIRS. Ride The Chariot [Pontarddulais Male Choir] - Pontarddulais Male Choirs. Bywyd Y Bugail [Pontarddulais Male Choir] - Pontarddulais Male Choirs. A Garland Of Welsh Folk Songs (a) Dacw Mam Yn Dwad (b) The Ash Grove (c) Yr Hen Ferchetan [Treorchy Male Choir] - Treorchy Male Choir. 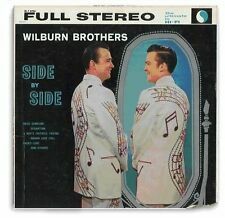 (Of Discs: 1 disc(s) Studio / Label: Decca Records UK Release Date: 12 Oct 2009. Disc 1 3 Band of Brothers 5.32 mins. Bonnie Tyler) 6.43 mins. Disc 1 14 Drunken Sailor 2.55 mins. Disc 1 13 Mae Hen Wlad Fy Nhadau 3.05 mins. 1 15 Sehnsucht, D656. 1 14 Lutzows Wilde Jagd, D205. 1 12 Die Gesseligkeit (Lebenslust), D609. 1 11 Standchen, D920. 1 10 Gesang Der Geister Uber Den Wassern, D714. 1 9 Mondenschein, D875. 1 8 Der Tanz, D826. THE NUMBER ONE CLASSICAL ALBUM 2006 - VARIOUS ARTISTS, DOUBLE CD ALBUM, (2005). 5 out of 5 stars - THE NUMBER ONE CLASSICAL ALBUM 2006 - VARIOUS ARTISTS, DOUBLE CD ALBUM, (2005). 1 product rating1 product ratings - THE NUMBER ONE CLASSICAL ALBUM 2006 - VARIOUS ARTISTS, DOUBLE CD ALBUM, (2005). Artist Various Title Your Hundred Best Tunes, Vol.1 Label: EMI Records Number of Discs 1. Product details Audio CD(12 Sept. 2008). Information can be seen in picture 2 ! this is in nice used condition ! Of Discs: 1 disc(s) Studio / Label: Universal Classics UK Release Date: 24 Nov 2008. Disc 1 5 God Only Knows 2.47 mins. Disc 1 10 Kiss from a Rose 4.50 mins. Disc 1 9 One Voice 3.21 mins. Disc 1 8 Cwm Rhondda 3.00 mins. Title Songs of Taize 2-I Lift Up My Soul Label: EMI Records Number of Discs 2 Info: Various. John Rutter - The Ultimate Collection CD UCJ Music Catalogue Number 178 540-0. The Cambridge Singers, City of London Sinfonia, John Rutter. Matthew, Mark, Luke and John (fromFive Childhood Lyrics ). What sweeter music. Trionfi CD (2004)Title: Trionfi Genre: Classical|Choral Format: CD / Album Type: CD No. of Discs: 2 disc(s) Studio / Label: Berlin Classics UK Release Date: 26 Jan 2004. 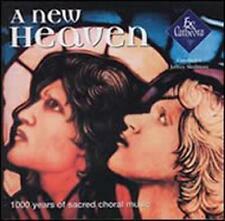 Immortal CD (2007)Title: Immortal Genre: Classical|Sacred Choral/Vocal Format: CD / Album Type: CD No. of Discs: 1 disc(s) Studio / Label: 2L UK Release Date: 25 Apr 2007. Released - 2017. 3 Northern Lights. If the condition is listed as "New & Sealed" the item is in it's unopened factory seal. If described as "New" it is not factory sealed but has never been played. Label - Decca.